Crowning glory – Craft-a-licious . . 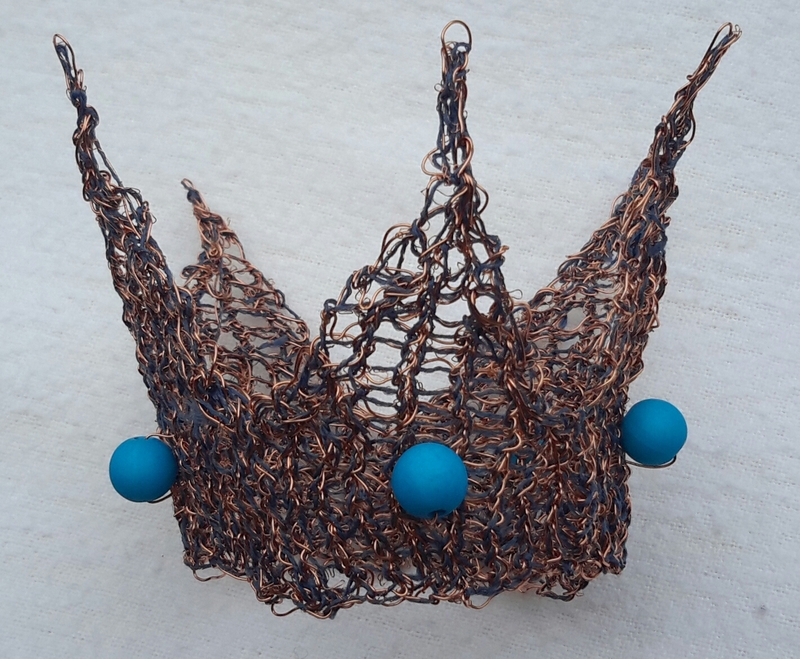 Ever knitted a crown? No? Then there’s no time to be lost! – get cracking on this one http://www.ravelry.com/patterns/library/cnut-the-great it’s very easy and free on Ravelry.com! 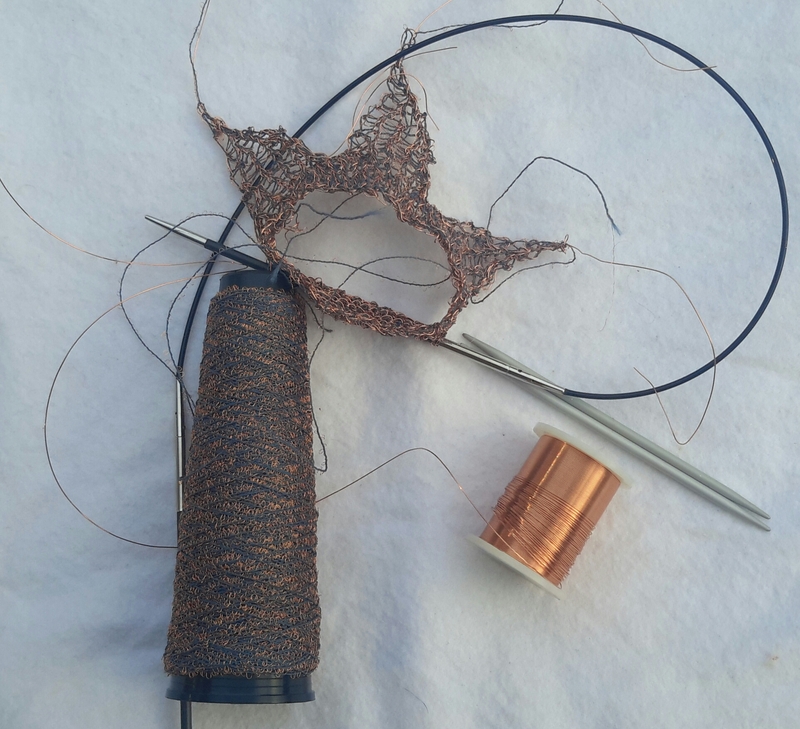 Just be sure one of your knitting yarns is wire to give it strength and bend-ability – then you’re good to go. Use it to decorate anything or anyone wanting a regal attribute. Here it is being modelled by Chester, who probably has thoughts of being king of the world, but due to extreme laziness has not pursued it. 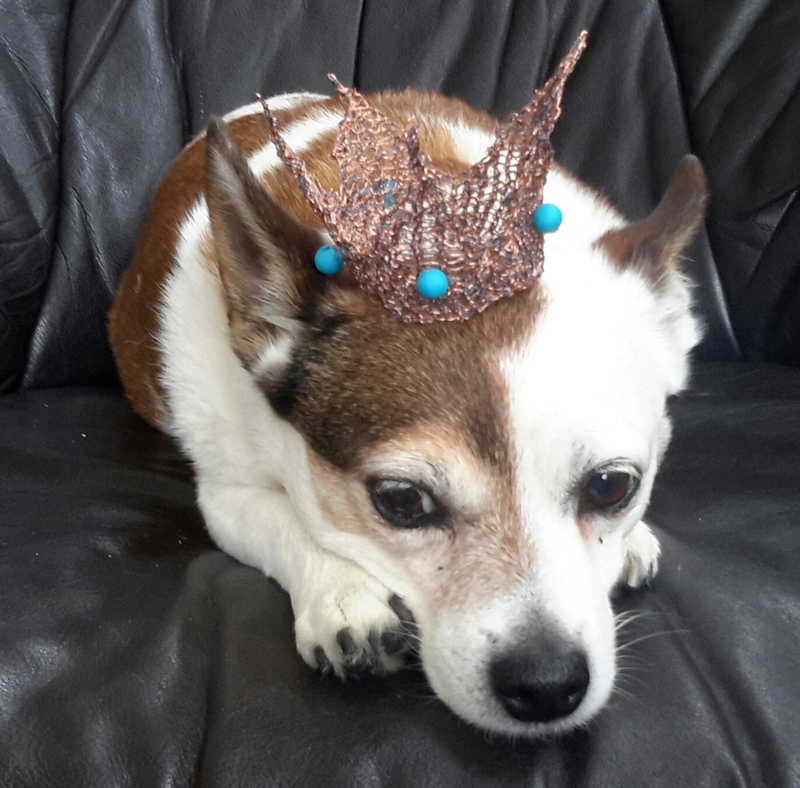 Chester dreaming of everyone doing his bidding ..
omg a doggie crown?! xtreme cute cath. wouldn’t boo wear the crown? chester is darling model tho. Unfortunately Boo was too busy prancing around and yapping at Chester to be a princess. If Chester’s got something – she’ll only want it until he hasn’t got it, then she calms down. She lacks all etiquette that dog! Cath that crown is so sweet with its widdle beads all round! I like how its bendable so you can shape it into a rigid symmetrical formal crown for the hard-core Ruler or a ” what -this old thing?” weekend crown, worn a little off centre with freestyle tips. King Chester has nailed the look – prob just outta shot he’s surrounded by empty champers bottles & got a fag burning. FG!! Thanks so kindly for your very apt account of both my weekend headwear choice and Chester’s seedier side – which indeed I was trying to keep hidden. It’s wonderful that you now have access to electrickery and the interweb after that dreadful weather! No more stone age-liven for you!! Wonderful to have you back FG! !